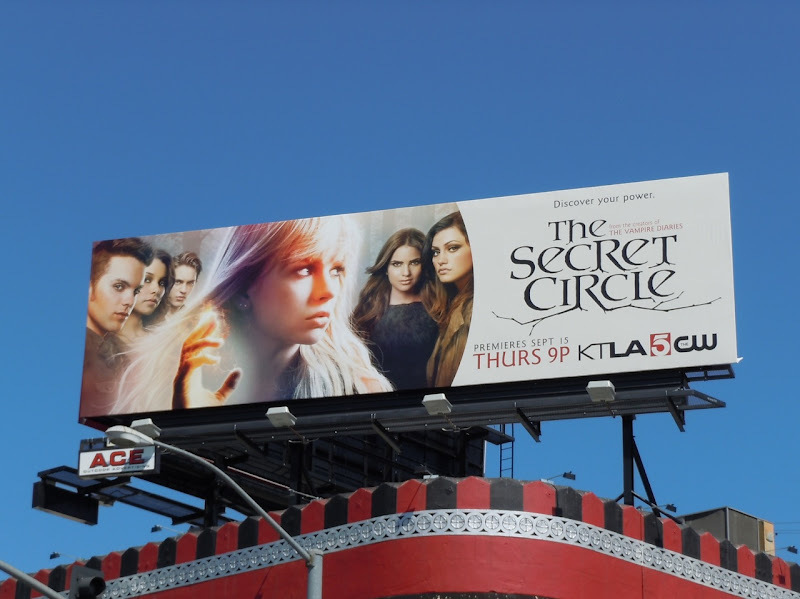 At the moment it looks like audiences (and the studios), can't get enough of supernatural shows. 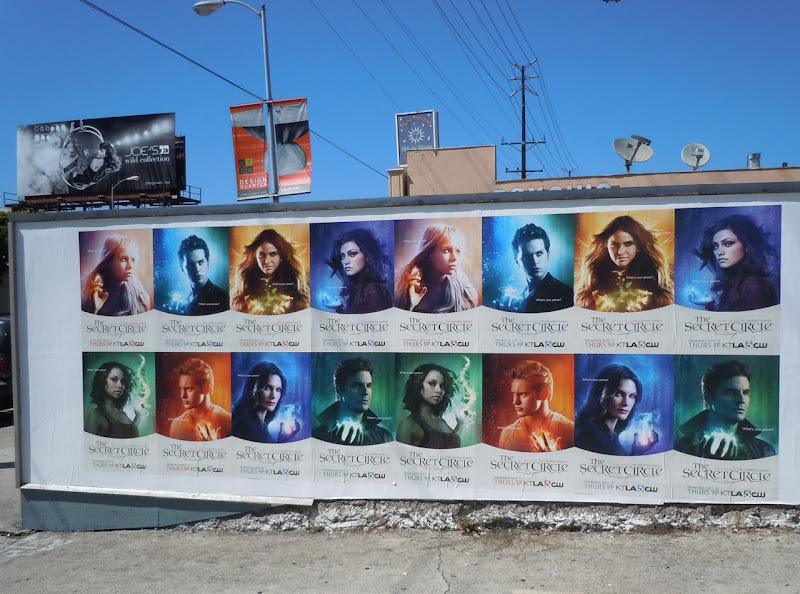 This Summer we've seen the debut of Teen Wolf, young wizard Harry Potter has had his grand cinematic finale and powerful witches have come to Bon Temps for the fourth season of True Blood. 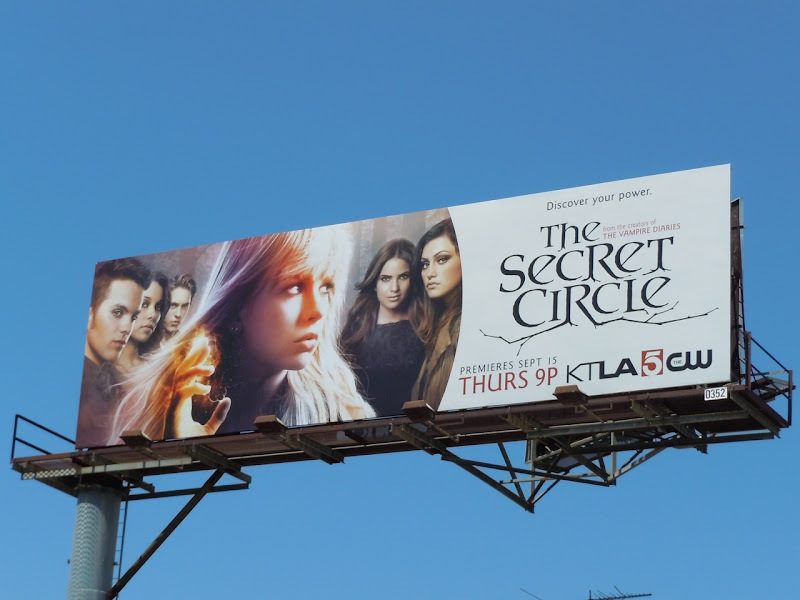 Now the makers of The Vampire Diaries want in on the magical action with a new TV show about witchcraft, The Secret Circle. 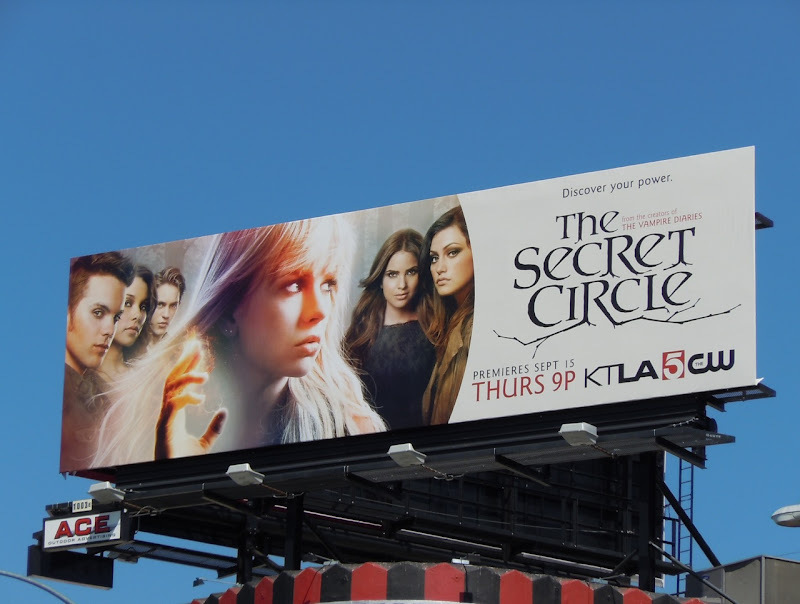 These billboards featuring Brittany 'Britt' Robertson, as the young witch 'Cassie Blake', were snapped above Whisky A Go-Go along L.A.'s Sunset Strip and along La Cienega Boulevard on August 5, 2011. 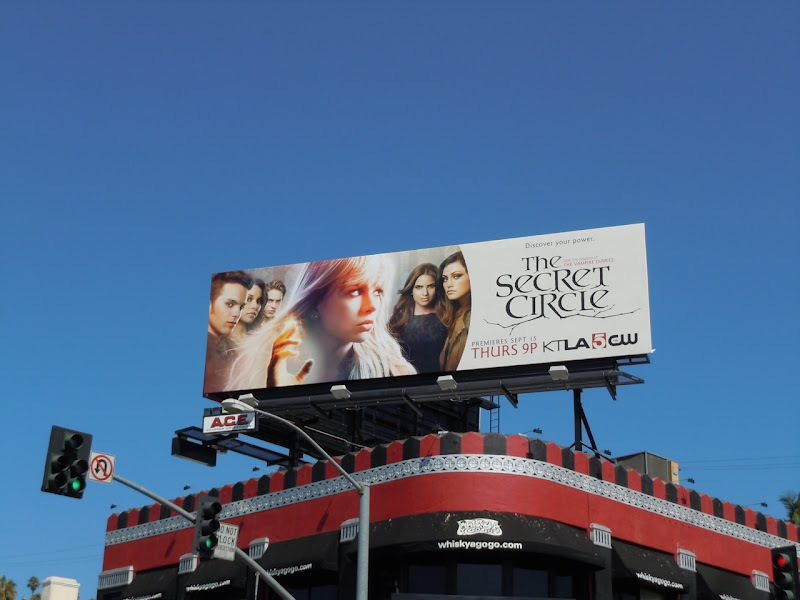 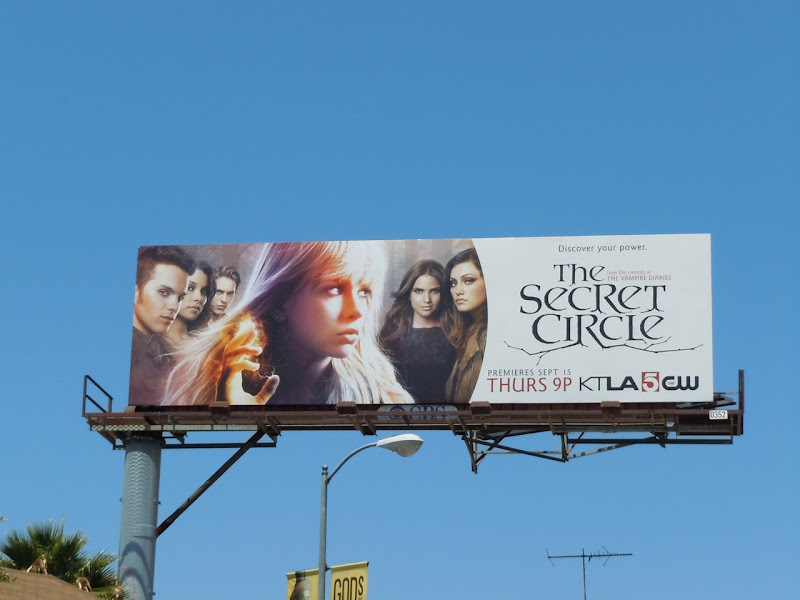 UPDATED: Here are some cast posters from The Secret Circle snapped along La Cienega Boulevard on August 21, 2011.